The Down Payment Assistance Program provides qualified homebuyers a loan to assist with purchasing a home which will be their primary residence. Homebuyer households must have income no greater than 80% of median income, adjusted for family size. 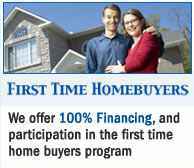 All Homebuyers must complete HUD approved homeownership counseling before assistance can be committed. A Certificate of Completion from the counseling agency must be submitted with the application. Contact us at 502-905-3708 or email us at kentuckyloan@gmail.com The Government has revised its Down Payment Assistance Program increasing the amount of assistance. We are now offering Metro Wide assistance, and homebuyers may qualify for a forgivable mortgage which will be forgiven over a five (5) year period of 10% of the purchase price of the home to a maximum of $4000 to $10,000. Our Department has also allocated closing cost assistance in the amount of up to $2,000 for down payment assistance programs; however, homebuyers must pay all prepaid costs from their own funds. 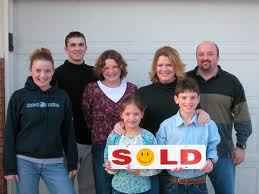 Homebuyers are responsible for obtaining primary financing with a fixed rate mortgage from a reputable lender. A HUD-1 closing statement must be received two working days (48 hours) prior to closing. Great article! I loved the knowledge and also the advice given . In addition, your article writing style is very fun to read. If you have enough time kindly explore my brand new website and tell me what you think.